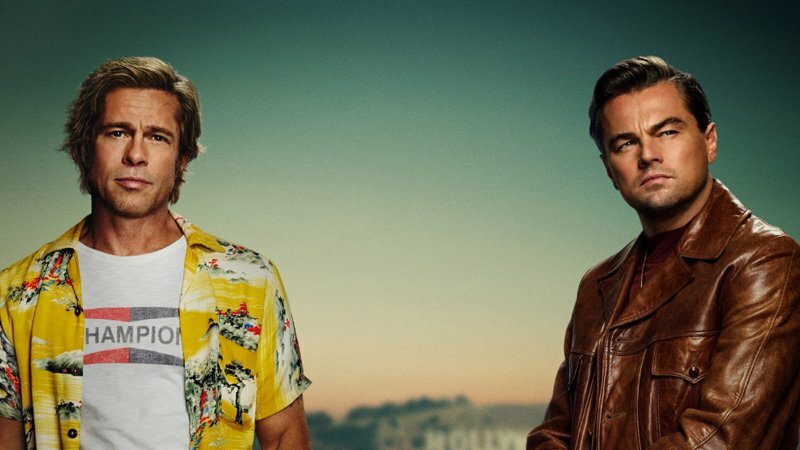 Stars Brad Pitt and Leonardo DiCaprio are featured on the newest poster for director Quentin Tarantino’s ninth cinematic epic, Once Upon a Time in Hollywood. Sony Pictures posted the poster to Twitter today, which features the two stars against the backdrop of the Hollywood hills. With an era-appropriate car just out of focus as well. Along with Pitt and DiCaprio, the massive ensemble cast for the film also includes Margot Robbie (I, Tonya), Burt Reynolds (Smokey and the Bandit), Timothy Olyphant (Santa Clarita Diet), Michael Madsen (Sin City), Tim Roth (Selma), Damian Lewis (Billions), Luke Perry (The Fifth Element), Emile Hirsch (Speed Racer), Dakota Fanning (The Alienist), Clifton Collins (Pacific Rim), Keith Jefferson (The Hateful Eight), Nicholas Hammond (The Sound of Music), James Marsden (Westworld), Julia Butters (Transparent), and Scoot McNairy (Halt and Catch Fire). This will be Tarantino’s first film based on true events, as Inglourious Basterds was technically set in World War II and featured key leaders including Adolf Hitler and Winston Churchill, but in an alternate history that did not follow reality. Production for Once Upon a Time in Hollywood is currently underway in Los Angeles for Sony Pictures and the film is slated for release on August 9, 2019.